It's one of those backlit, vinyl-printed plexiglass commercial displays that are so depressing and ubiquitous in sprawl-towns like Los Angeles and Salt Lake City. But this one has magical powers: One side depicts a cartoon image of an unhappy, injured foot, while the other features an ecstatically smiling, healthy foot -- and, depending on which side first comes into view during the morning commute, local residents can predict how the coming day is likely to turn out. rotates slowly, unless it's broken, which it often is of late. But when it's rotating, you are always tempted to check out which side is facing you when you first come into sight of it. A happy, smiling foot is portends a good day, or at least a general thumbs up from the universe. We've always thought so, and come to find out, many other people also practice this form of primitive divination. 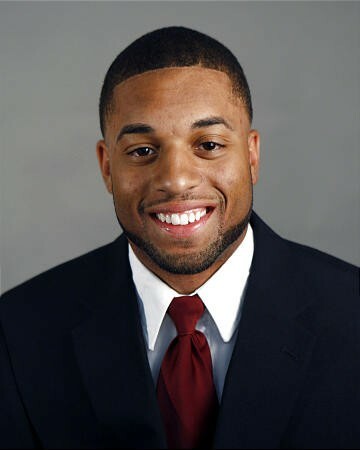 For instance, midway through the final quarter of last Saturday's U vs. BYU grudge match, Coug defensive back Brandon Bradley made a memorable play that jeopardized the Utes’ chances of winning the game. As luck would have it, though, there was a turnaround, and the Utes won 17-16 -- I am a Utah man, sir! Yay, team! Any chance of a BYU victory was thwarted with a last-second block by U of U cornerback Brandon Burton (pictured at right. Rock on, Burton!) And, since I had been all too willing to accept the idea that Bradley's play might somehow bode ill for me if BYU won, I could only conclude that Burton's block and the Ute victory was a lucky sign -- the football gods miraculously changed my bad omen into an auspicious augury. Yeah, that's the sort of -- um, logic that goes through my head sometimes. So I'm not really in a position to criticize the good folks of Edendale and their Happy Foot/Sad Foot sign. Anybody who has made all the green lights on the way to work and ended up having a fantastic day knows what those folks are talking about. By the way, Salt Lake City has its own predictive sign. I may be biased, but I think ours is better -- not only is it more attractive, but its presages are based on something close to science. 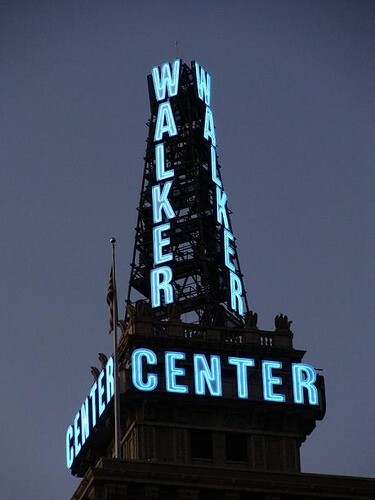 It is, of course, the downtown Walker Center tower, which forecasts weather conditions using a system of red and blue, flashing or non-flashing neon lights. Some people say they have a difficult time memorizing these codes†, but it's easy enough if you think of blue as "calm" (that is, no precipitation) and red as "violent" (i.e., stuff falling out of the sky). "Flashing" is a modifier that depresses the color indication -- thus, flashing blue means cloudy, since clear skies are more cheery; and flashing red means snow, because snow is more difficult to get around in than rain. * Anticipating a good or bad day in the morning often turns out to be a self-fulfilling prophecy, since it affects the way you react to life's challenges. And, disregarding the event that the podiatry sign is viewed edge-on, there is a 50 percent probability that a pinakidopodomancy** reading will result in a Sad Foot outcome -- so I worry that practitioners might be dooming themselves unnecessarily to an awful lot of bad days. ** "Pinakidopodomancy" is a word I made up meaning "divination by use of the Happy Foot/Sad Foot sign" (Greek πινακιδα, signpost + πóδι, foot + μαντεια, prophecy). † My great-grandmother told me when I was 6 that there also existed a third color -- amber -- which predicted tornado weather. But I've never met anybody who could corroborate that -- it may have been an old urban legend. Since then, the weather tower has been torn down and rebuilt, which makes the existence of amber-colored lights difficult to verify.